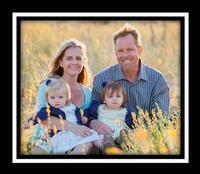 My amazing husband, father to our twins and employee of Southern California Edison (SCE) for 25 years needs your help. Sixteen years ago, after five years of living on dialysis, Tony received a kidney transplant. That transplant allowed Tony to live a fantastic life that included a long career with SCE, buying a home, getting married and becoming a father to twin girls. Now 16 years later with 17 month old twins, Tony’s kidney has failed. With less than 9 percent kidney function, he will start dialysis in July 2013 and begins his wait for a donor kidney. Due to the nature of his work, Tony is now home on Long Term Disability. I returned to work to support our family while Tony stays home with the twins. The cost of a transplant will not be completely covered by our insurance and my new job will not allow me to take paid leave to care for Tony and the twins during Tony’s recovery after his transplant. Tony will also remain on anti-suppressant drugs for the rest of his life which has already proven costly. We will need to raise $10,000-$20,000 to cover the cost associated with the transplant and ongoing care. To help with this financial burden, a fundraising campaign in Tony’s honor has been established with HelpHOPELive, a nonprofit organization that has been assisting the transplant community for over 30 years. All donations are tax-deductible, and held by HelpHOPELive in the Southwest Kidney Transplant Fund, and are administered by HelpHOPELive for transplant-related expenses only. Your financial gifts will be greatly appreciated and help Tony make it through this difficult time. Lots of prayers for you and your family, Rachel!